Ever get the feeling you easily blow money away? 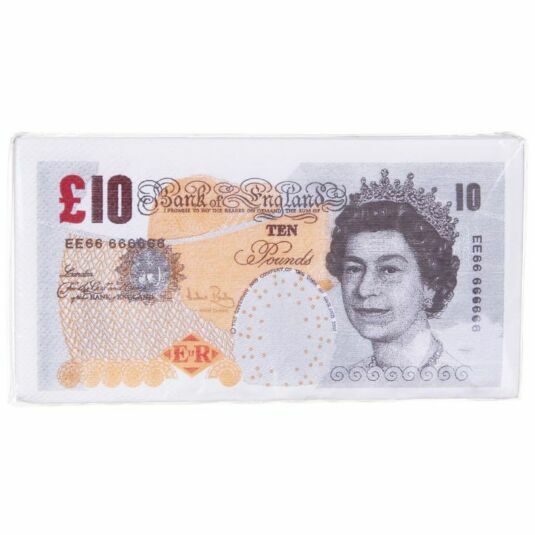 Enjoy a novel way of making your friends jealous with this pack of napkins, printed with a £10 note design on either face. An everyday essential made fun, enjoy watching your friends take a second glance at a stack of these mock bank notes! Each pack contains 10 printed napkins. These napkins are not printed using the official markings of real bank notes and may not be used as genuine paper currency.